The SmartNode 4140 Series of VoIP Media Gateways support up to eight phone or fax calls. The SN4140 is the perfect choice for All-IP applications where either old, non-replaceable telephones have to be integrated into a UCC environment, or for good old fax devices to be migrated to the next-generation network infrastructure. 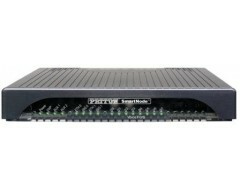 Patton’s SmartNode 4140 Series delivers the legacy phone interfaces, service transparency, and flexible integration required for All-IP networks.